Police are investigating a "significant" cyber-attack on TalkTalk's website, which may have led to customers' credit card and bank details being compromised. In a statement, TalkTalk said that its website was hit with a "significant and sustained cyberattack" on Wednesday October 21, and that a police investigation had been launched the following day. The service currently has four million customers. TalkTalk said that names, addresses, dates of birth, email addresses, telephone numbers, TalkTalk account information, and credit card and bank details may have been accessed in the attack. At the time of publishing, TalkTalk customers were still unable to access the account section of the website. What's most worrying, however, is that TalkTalk says that "not all of the data was encrypted", potentially making it easier for intruders to access. A Russian cyber-group has taken responsibility for the attacks, but their claim is yet to be verified. The latest attack marks the third data breach that TalkTalk has experienced this year. TalkTalk has confirmed that it received a ransom note from somebody claiming to be responsible for the attack. TalkTalk's chief executive Dido Harding told the BBC: "I personally received a contact from someone purporting - as I say, I don't know whether they are or are not - to be the hacker, looking for money." Speaking to techradar, Cameron Brown, a senior cyber defence advisor who has worked with the UN, said that it's very possible that any party claiming responsibility is lying. "Its not uncommon for groups to claim responsibility for the actions of others," he said. These people are motivated by media coverage. So any publicity is good publicity if they can get people to pay attention to who they are they can get more traffic to their Twitter or website where they're spouting their beliefs or ideology." Brown said it was possible the information would be sold off on the dark web, a part of the World Wide Web that requires special software of authorisation to access. If bank details have been stolen, the value of the information, he said, would depend on a number of factors. "Has it been cancelled? What is the level of reactivity within that country to breaches of data associated with credit cards? Are they nimble? Are they going to react quick? And the other issue is can they substantiate what the limit is on the card." Until we know more, the best thing you can do is change your banking and online passwords for safety. You should also pay close attention to your bank accounts for any signs that fraudulent activity that may have taken place. TalkTalk also suggests checking your credit report. If you do notice anything suspicious, you should contact both your bank and national fraud reporting centre Action Fraud, which can be reached on 0300 123 2040. 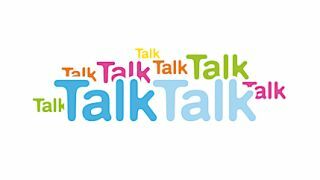 To make any changes to your TalkTalk account, you are advised to phone TalkTalk on 0800 083 2710 or 0141 230 0707. You should also be cautious with any emails or calls you receive from anybody claiming to be from the company. If people have access to your personal information, it will be easier for them to craft a convincing fraud email. Do everything possible to verify the legitimacy of the person, including ensuring the email is from a legitimate @talktalk.co.uk address.